Authentic Wood-Fired Neapolitan Pizza ... That's Amor'e! 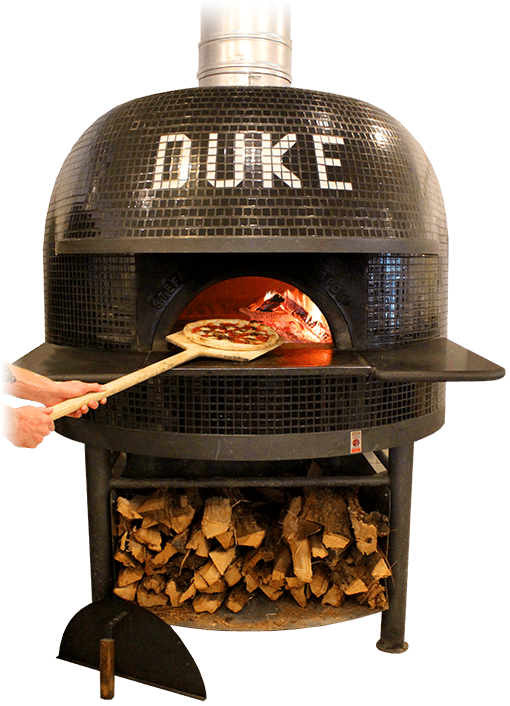 The Neapolitan pizza is cooked in firewood ovens with the temperature of 800°F required for a true Neapolitan pizza, uniformly cooked in 90 seconds. Stefano Ferrara wood-fired ovens are built by hand, brick by brick, as in old Neapolitan tradition, without using prefabricated pieces. The Neapolitan pizza has unique attributes that set it apart from the mainstream. The crust is made by hand, fresh every day with just flour, salt, water and wild yeast. The sauce is simply hand crushed tomatoes. Then all pies are topped with freshly sliced mozzarella and a drizzle of Italian olive oil. The completed pies are baked in a wood-burning oven and cook in approximately 90 seconds. Coming hot from the ovens, the crust is characteristically soft and chewy, and with a little bit of char from the intense heat. In Naples, pizza is always eaten with a knife and fork, but we’re happy to slice it for you! Take a trip back in time to an Italian Village where pizzas are created from dough (made from scratch each morning), fresh mozzarella cheese, handpicked basil, ripe tomatoes, rich Italian olive oil, and baked in an original Stefano Ferrara Neapolitan handmade brick wood-fired oven to a blistering 800 degrees …..cooking in 90 seconds! Duca’s Neapolitan Pizza brings to you this centuries-old technique that Neapolitan masters use to create a truly authentic Neapolitan pizza. 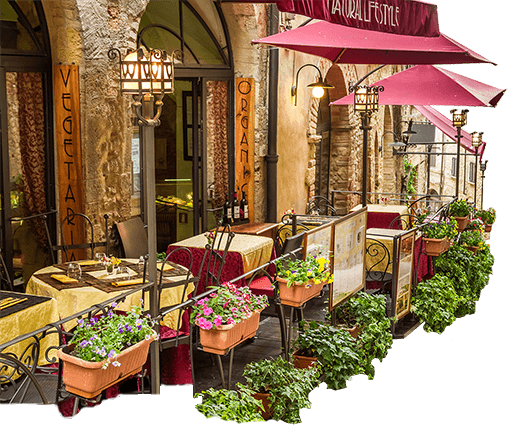 The original pizza was created in Naples, Italy around 1600 AD by bakers needing to feed the masses in a tasty and cost-effective manner. Using simple, readily available ingredients such as dough and tomatoes, they were able to create a simple snack that was sold by street vendors. Later cheese was added and pizza as we know it was born. 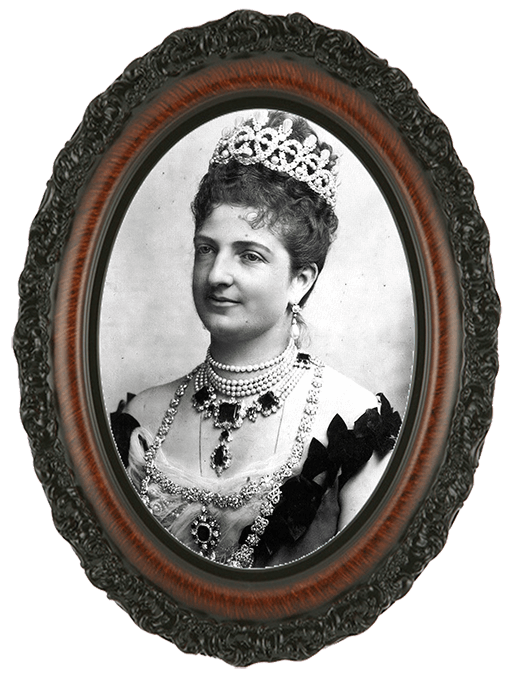 In 1889, Queen Margherita (of the new established Savoy dynasty) visited Naples. Having heard of the city’s famous peasant food, she was curious to taste it. The city’s most famous cook, Don Raffaele, was invited to prepare the dish for the Queen. Three pizzas were presented to show the typical choices of the time: one with cheese and basil; one with garlic, oil, and tomato; and one with mozzarella, basil, and tomato. The queen, impressed by the colors of the last pizza, which resembled red, green and white of the national flag, named it Margherita Pizza. With royal approval secured, the Margherita Pizza became the established modern pizza, and to this day, the dish has never lost its status, becoming over the years a cultural and even international icon.